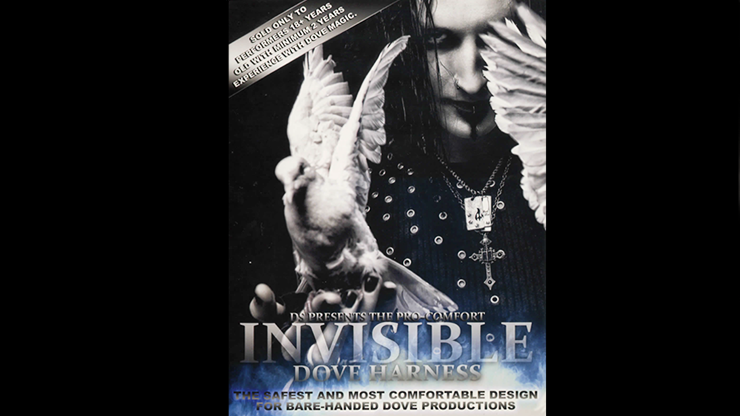 PRO-COMFORT INVISIBLE DOVE HARNESS The Safest And Most Comfortable Design For Bare-Handed Dove Productions. Dan Sperry has taken the classic design of an IH and modified it for better security, comfort, and safety in mind for the dove. By making just a few minor adjustments, these simple yet crucial changes now allow for a more secure and smooth production of the bird. These are NOT mass-produced harnesses. Each harness is individually hand made in America and then personally examined by Dan Sperry before they are rendered complete. Perfect for effects such as Dove In Balloon, Dove On Cane, and Dove Split. This product is NOT recommended to those under 18 years of age or performers with less than 2 years of experience working with dove magic.